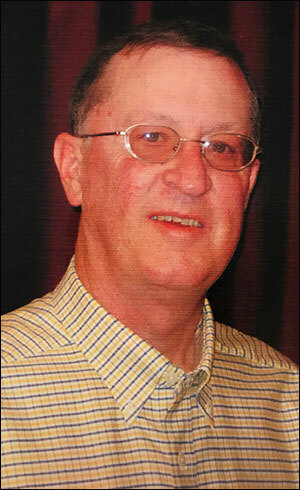 Lifetime Friona resident Jay Edwin Beene, born on May 12, 1948 returned to the Lord on January 8, 2018 after a dignified battle with pancreatic cancer. Jay was the proud and loving father of Jason “Brent” Beene, and Grandad to three-year-old Lochlan Cody Beene, Brent’s son with wife, Tamela, to whom Jay was like a father. He often said, “so far in life being a Grandad is the only thing that has lived up to the hype”. Jay had a long career in the insurance industry where he was well respected and trusted for over 45 years by his clients and peers. He was also a cattleman. He was a 1966 graduate of Friona High School and attended the University of North Texas where he received a Bachelor’s degree in Business in 1970. Jay also held the designation, Chartered Life Underwriter. Those that knew him knew him best knew you were more likely to find him on the golf course or fishing at Ute Lake than behind a desk. Jay’s true love was golf and he was an important part of the Friona Country Club (FCC) his entire life. He served as President as well as held every other officer position at some point over the years. Jay was also a very talented golfer from an early age and had been FCC Club Champion. He often told stories about playing 54 holes in a day with his buddies as a kid at FCC as well as about the many golf tournaments he participated in around the area post-college. Jay was also a member of the Lions Club and Chamber of Commerce. Jay enjoyed a rare hobby of collecting key chains from all over the world and also had an affinity for anything sweet, especially Little Debbie snack cakes. He was an avid sports fan and loved his Dallas Cowboys (well, most of the time). He also enjoyed pheasant and bird hunting. Despite a sometimes gruff exterior, Jay was a softie at heart and loved people. He had a presence and sense of humor that endeared folks to him. Jay was preceded in death by his parents, O.J. and Decimae Beene. He is survived by his son Brent, daughter-in-law Tamela and grandson, Lochlan of Westfield, NJ; brother, Ramey Beene and sister-in-law Michelle Beene of Corpus Christi; and Brent’s mom and ex-wife Sue Wells of Friona. He will be sorely missed by his many friends and family who all loved him. His request to be cremated will be honored and there will be a celebration of his life on Saturday, January 27, 2018 at 12:00 to 2:00 p.m. at the Headquarters Restaurant (next to the former Friona Country Club - 1505 W 5th Street, Friona). All arrangements by Blackwell-Mullins Funeral Home of Friona. In lieu of flowers, donations to a charity of choice would be welcomed. 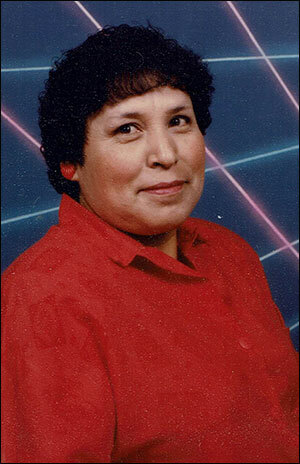 Julia Marin, 70, of Bovina, TX, passed away Tuesday, January 9, 2018 in Clovis, NM. Rosary will be held at 7:00 PM CDT, Friday, January 12, 2018 at St. Ann’s Catholic Church in Bovina, TX. Mass of the Resurrection will be held at 11:00 AM CDT, Saturday, January 13, 2018 at St. Ann’s Catholic Church with Father Henry Rodriguez. Joaquin Marin Jr., Luis A. Marin, Antonio Marin, Jesus M. Carmona, Sergio Marin, Dorian Vela, Adriel Vela, and Diego Perez will serve as pallbearers. Julia was born November 7, 1947 in Dinamita, Durango, Mexico to Ventura Dominguez and Ventura Galaviz. She married Joaquin Marin. Julia was a member of St. Ann’s Catholic Church, she was strong in her faith and beliefs. She loved shopping, singing, and spending time and talking on the phone with her family and friends. Survivors include five daughters, Maria Concepcion Marin-Alcala (Ernesto), Lorena Marin-Vela (Federico), Maria del Rocio Marin-Venable (Danny), Dominga Marin-Esqueda (Joel) and Celia Marin-Valois (Jose), one step-daughter; Margarita Marin; three sons, Joaquin Marin Jr., Luis A. Marin, Antonio Marin; two step-sons, Miguel Marin, Ricardo Marin; four sisters, Esperanza Rodriguez-Galaviz, Maria del Rosario Dominguez-Galaviz, Leonarda Dominguez-Galaviz, and Carmen Dominguez-Dominguez; three brothers, Candelario Dominguez-Galaviz, Magdaleno Dominguez-Galaviz, and Francisco J. Dominguez-Galaviz; 33 grandchildren and 22 great-grandchildren. She was preceded in death by her husband, Joaquin Marin Sr.; parents, Ventura Galaviz and Ventura Dominguez; and great-grandson, Julian Joaquin Marin. Her breakfast burritos and tamales, will be greatly missed at, The Fresenius Dialysis Center, where she was treated for 12 years. The family greatly appreciates the wonderful service provided to Julia, by the amazing staff whom she considered family.